IBS or Irritable Bowel Syndrome is a disorder that affects up to 15% of all adults worldwide. This condition is not closely related or associated with life-threatening illnesses. However, it can be a long-term condition that often results with a significant economic and healthcare burden for the patients. There are many studies regarding the IBS that have shown how severely this condition can compromise a patient’s quality of life. Additionally, the number of people diagnosed with the IBS is increasing almost daily. 1 What is Irritable Bowel Syndrome (IBS)? If you are wondering ‘what is Irritable Bowel Syndrome’, you have come to the right place. The IBS is known to be either a recurrent or a long-term gastrointestinal disorder. This means that this particular condition is a disorder of the large and small intestine and may also affect the bowel motor function and sensation. All these activities in the human body are regulated by, of course, the human brain. In many cases, the IBS may even affect the way the brain controls the bowels, which is why it is also referred to as the brain-gut disorder. Approximately, there are around 25 to 45 million people suffering from the IBS in the United States only. The cause of IBS is yet unknown. It is thought that the symptoms of this condition come as a result of the interaction of the brain, the gut and the nervous system. Stressed is known to trigger the IBS symptoms, but it cannot be a symptom by itself. The reason why it is commonly associated with this condition is because of the connection of the gut and the brain. In most cases, IBS is completely unpredictable. The symptoms can vary in severity and even be contradictory i.e. diarrhea and constipation. There are many treatments available for IBS patients, but they do not cure the condition. The reason why one is recommended a treatment is to help them manage the IBS symptoms. Many people avoid seeing the doctor and seeking treatment for IBS. Still, up to 40% of the total number of visits at the gastroenterologists are a result of symptoms of this condition. Only a medical professional can diagnose a person with irritable bowel syndrome. The symptoms of this condition can vary and be set in three categories: mild IBS, moderate IBS and severe IBS. According to researchers, 40% of all patients experience mild IBS, 35% experience moderate and 25% experience severe IBS. Still, the majority of patient do not recognize or pay special attention to their symptoms. Even though people rarely visit the doctor’s office for IBS symptoms, there are still up to 3.5 million visits for such symptoms annually in the US. Gastroenterologists actually claim that this is the most commonly diagnosed condition in patients that visit their offices. Thus, this is a highly expensive condition with estimated over $21 billion of medical expenses annually. IBS is more common in females, but can occur at every age, even in children. This is a major health issue of women around the world. There are many research studies nowadays that report a role of bowel’s mucosa inflammation in the development of this condition. We are speaking of a slight, low-grade inflammation. This case was found in many patients, most of which were not even considered to have developed this condition as a result of an inflammation. Still, the cause of the infection is not very clear. The assumption here is that there is bacterial population change that affects the intestines. There are people who are considered to be more genetically predisposed to inflammations due to bacteria and therefore, more at risk of developing IBS. 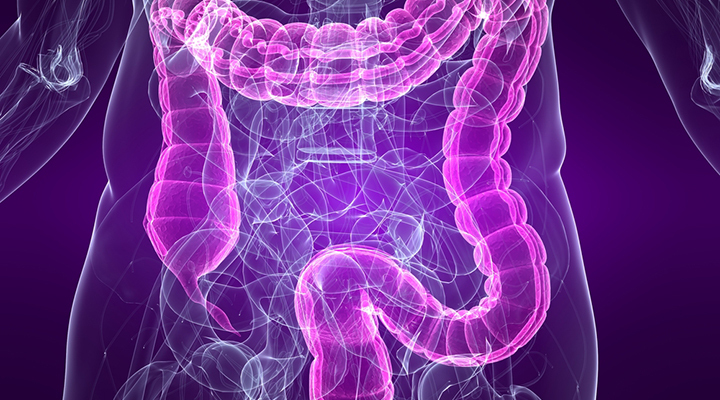 Very recently, some researchers have suggested that the intestines in patients who suffer from IBS have increased bacteria numbers and increased bacteria types that are normally located in the colon only. They call this particular condition a SIBO or small intestinal bacterial overgrowth. This is why antibiotics often improve the IBS symptoms in patients, but there are still many controversies about this theory. Still, regardless of these researchers, patients should approach a prolonged antibiotic therapy course extremely carefully. The reason behind this advice is because IBS is a relapsing and chronic condition and not everyone can experience long-lasting effects of the antibiotics. To be more on the side of safety, doctors often prescribe probiotics as a more attractive version of treating this condition. There are studies in this area too, claiming that symptoms did improve due to probiotics, but the results were inconsistent. However, there are certain indications that some combinations of probiotics can be highly beneficial for the IBS patients. Studies show that the Bifidobacterium infantise 35624 organism is superior to placebo and can relieve the main IBS symptoms. Overall, almost every study somehow suggests that the source of the irritable bowel syndrome condition is a result of the interaction between the person and their gut flora, more specifically the dysfunction. When a dysfunction happens, there is a low-grade inflammation that occurs in the person’s gut and can cause the development of the irritable bowel syndrome.